What would bring multiple generations of community together, embed Jewish values, and enable social justice values in one place? 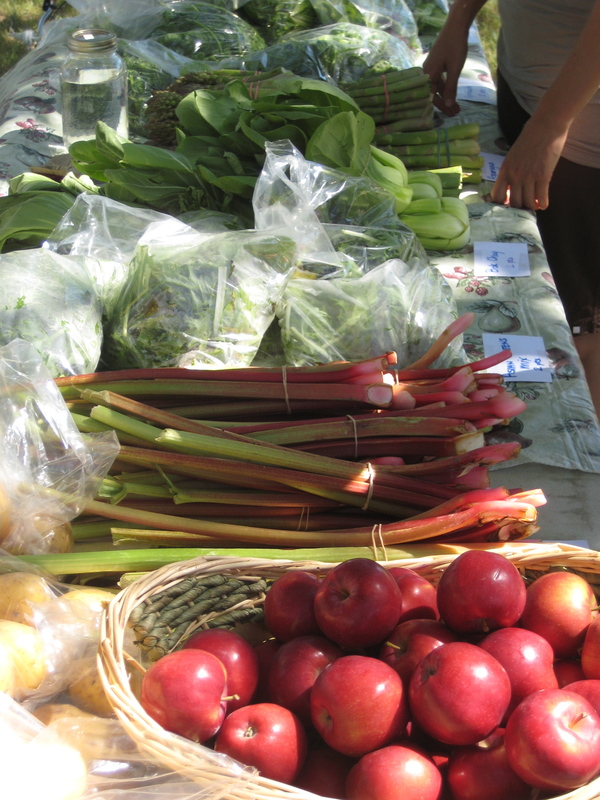 Food, food access, healthy food choices, and the environment are clear issues in the Greater Toronto Area (GTA). Temple Sinai is located in the middle of what some call, the doughnut of poverty. I like to think of it as a bagel of poverty, myself. There seemed to be opportunity knowing this. Through meeting with various community groups members of the Social Action Committee (SAC) and I met Daniel Hoffman. Daniel is a social worker by training and started an organization called The Cutting Veg. 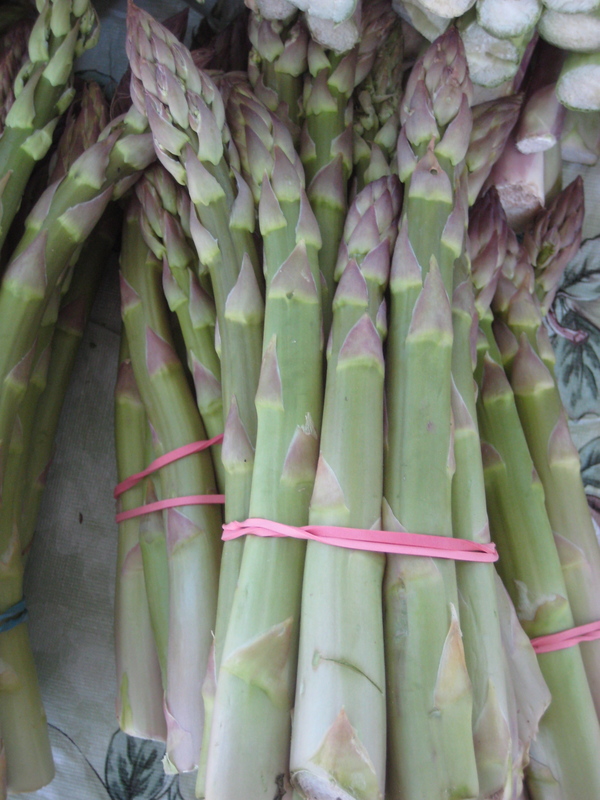 The best asparagus I have ever tasted. The SAC gathered together and with the help of Daniel, started to recruit members for our CSA. We tabled during religious school, went to various committees including the Board of Trustees, created a facebook group and used our regular temple publications to recruit. The CSA selected the name Pri Adamah, fruits of the earth. I spoke about Pri Adamah, our CSA, on the first morning of Passover as well. Our goal was to have a minimum of 50 families by the middle of the farming season. Some of the reasons we like The Cutting Veg as a congregation is because of a special Tzedakah component. The Cutting Veg makes a commitment to tzedakah and any member of Pri Adamah is also able to donate any produce that is not picked up to a local youth shelter. There, the food is used in cooking classes. We’re also hoping that the connection between Temple Sinai and the youth shelter will reap many benefits. Three weeks in we are already seeing a partnership emerging. Our CSA works on a point system. A large share is 18 points per week, a regular share is 13 points per week. Each individual (or if a shareholder is two households and splitting) gets to pick their own produce based upon the point values. The entire enterprise is run on the honor system and works quite well. The Cutting Veg asks for members of CSAs to think about volunteering on the farm. In addition, we have access to the farm and our nursery school and young families group are planning trips in the fall. During the CSA pickup times we need volunteers and already we’re finding that share members are sticking around the tent on temple property to share recipes, learn one anothers’ names and create community. I’m happy to report that at the end of business on the first day, Pri Adamah had 54 shareholders. 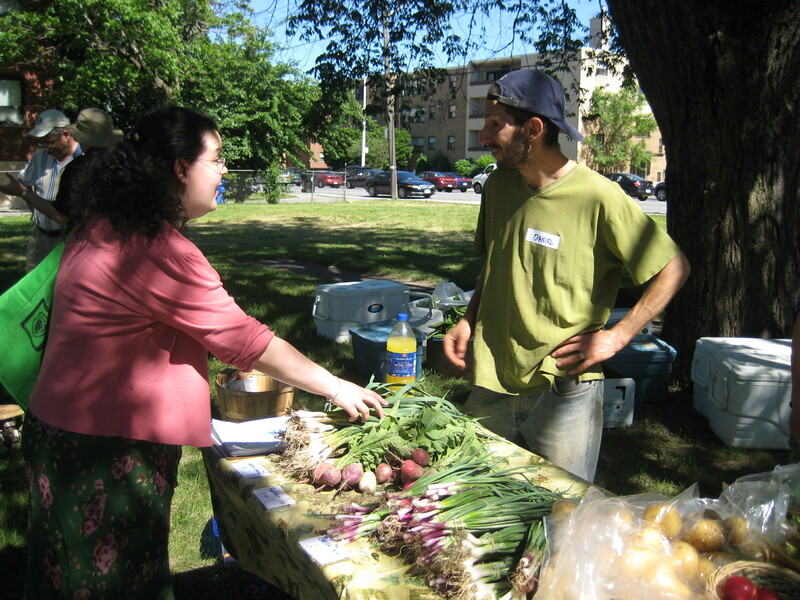 Many came from the congregation, others are people in the neighborhood interested in organic, local produce. We’ve had two successful weeks of Pri Adamah. Already I’ve feasted on spinach, green garlic, green onion, snap peas, asparagus, apples, rhubarb, peppermint, potatoes, and kale (also available where radishes, turnips, bok choy, asian mix greens, salad greens and herbs). Members have posted demonstration videos of recipes. Several have mentioned that they noticed they were eating at home and cooking more. Going forward there is still a lot to be done. As mentioned above, we’re already seeing an emerging partnership with the youth shelter. There are other things that they need and we are looking to coordinate drives through temple. The SAC is considering printing CSA bags with our logo as a means of marketing. We are also hoping to engage even more community members, perhaps people who are growing things on their own. We have launched a blog which we invite you to visit and comment or ask us questions. The plan is to highlight CSA members and gardeners as well as lots of Jewish content. Pri Adamah is also an opportunity for community outreach. For our neighbors we hope that we’re providing something that is useful to them. Many people are coming onto Temple Sinai property for the ‘right’ sorts of reasons and if they’re considering joining a synagogue our doors are open. The Temple Sinai is well aware that there are many learning opportunities around our CSA as well. Food ethics are a big issue in the Jewish community. It is also an area of personal interest for me so I’m hoping that there will be a chance to do some adult education around this subject. If you have more questions about how to start a CSA of your own, there are a lot of great resources out there and I’m happy to help point you in the right direction. If you’re in the Toronto area you are welcome to join Pri Adamah! You can download a registration form or come on Tuesday from 2:30-6:30 to Temple Sinai with your checkbook in hand. I love Pri Adamah because it enables me and all of the shareholders to live our values while nourishing our bodies. I hope you think about joining a CSA or starting your own.